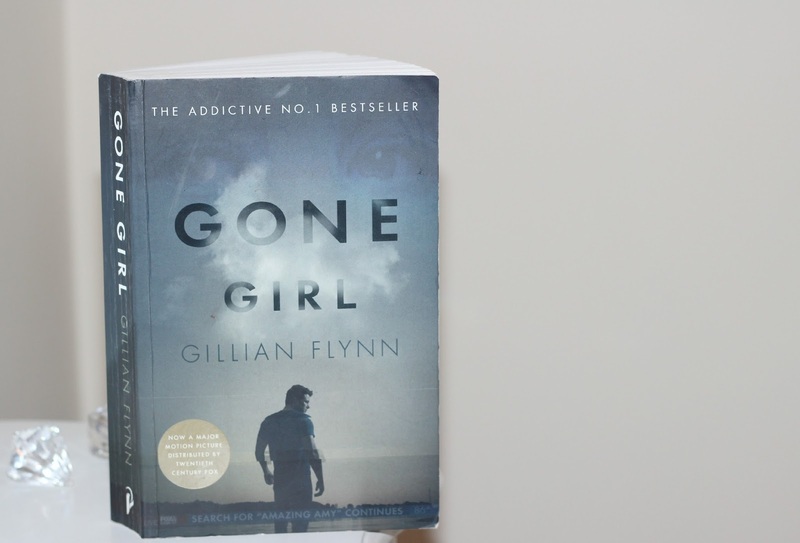 Gone girl is written by an author called Gillian Flynn. I hadn't heard of this author before coming across this book. t purposely didn't go to see this film at the cinemas as I'd heard so many rumours that the book was a whole lot better than the film, which it usually the case anyway. When you've read a book and then go and see a film you're usually let down because they haven't made it like you had imagined the story and they leave so much stuff out that you personally enjoyed reading. So when I saw this book was on offer in Tesco for a bargain price of just £3.85 I had to pick it up, as I hadn't purchased a new book in what felt like ages and I'd liked the sound of this one from what I'd read online and the sneaky peak chapter sample from Amazon. I thought I'd write a little snippet of what I think of the book so far, baring in mind I'm only 1/4 of the way through the book. I thought it would be a great idea to look back and see how much my opinion has changed throughout. So first of all let me just say that I've never read a book like this one, it's the layout it's very interesting throughout, it's written in diary form, which skips from one person to another with Amy Elliott Dunne and Nick Dunne. One story starts from the beginning of their love story and the other is about what is going off right now. Quite genius right? If I'm honest I've preferred reading Amy Elliott Dunne's diary compared to her partners - Nick Dunne. I think it may be because you can see the story from her point of view.I kind of feel sorry for Amy Elliott Dunne at the moment as she seems to get let down a hell of a lot, whilst the other half does whatever he likes (well so it seems). Boy has it changed! After getting through the half way mark of the book my opinion totally changed. Let's just say you feel totally different to how you felt in the first half. Amy Elliott Dunne is one powerful woman. It's hard to write a book review without giving too much away. So let's juts say: its not your typical thriller. Usually you're reading about their story and how much they've lied to one another, but in this book we are also being manipulated and getting lied to. This book is definitely one of my highest recommend MUST READ books. The book has been written in such an exciting way (don't know if I I've told you already) and has had me on the edge of my seat throughout the whole book. I read this book quite quick as I couldn't seem to put the bloody thing down. It was that bad that I had it in book form and then I'd be staying at my boyfriends on a weekend and ended up downloading it on my kindle book app on my phone too, just so I could read it in bed whilst he went to sleep ha. I was a little disappointed in the ending though, but it's made me wonder if there will be another book to follow? Have you read this book yet? I'd love to know of some other crime/thriller books just like this one if anyone knows of any? I'll definitely be buying more books by Gillian Flynn that's for sure. When this book first came out I read it and LOVED IT. It was so gripping I just kept reading, and the film totally lived up to expectations with Rosamund Pike - i love her. I have read two more books by Gillian Flynn, and they also are page turning! I really want to read this. The film was amazing!! I need a new read, and I have been undecided if to read Gone Girl...but think I may have to now. Just being a copy cat! I loved this book!! Have you seen the film? Thats really good too!